This page contains bio information for Swimming Pool Steve with the newest content at the top of the page. This page started as a simple interview with Steve and has since grown into a chronicle that is telling the story as it unfolds for Steve. This website started as a small collection of technical articles and has now grown into one of the largest collections of swimming pool and hot tub resources available anywhere. The list of articles, magazines and radio appearances that Steve has made has now been moved to the Swimming Pool Steve In Print page. Every time I check this page I am overdue to add an update. It is amazing how quickly time passes. In the 13 months since the last update so much has happened that I can scarcely think of where to begin talking about it. I suppose I can boast a little and mention first that during the 2018 pool season I was a finalist in the Pleatco Perfect Pool Guy contest, and I ended up winning the 2018 Industry Leadership award. This prestigious honor included a trip down to Las Vegas for the Pool & Spa show to receive my award. How is that for some update worthy news! It was an amazing experience that was only somewhat overshadowed by some persistent health issues that I have been battling...which brings me to the next major change since the last update. In 2018 I was diagnosed with a rare and incurable auto immuune disease. I officially released this information in my 2018 in review article. Further to this I also created a new blog to chronicle my journey with this strange and unknown disease, and to help raise awareness for friends and family of mine who wish to know more about what MCTD is and how it affects people. You can read my story about living with MCTD here if you are interested to know more. In addition to an explanation of what MCTD is and what living with it is like for me, there is a rather large section of recipes for a special diet called the auto immune protocol (AIP). Eating AIP helps to keep the activity of my immune system dysfunction to a minimum. With the 2019 season looming now the entire pool industry fluxes and heaves with change. Jandy quit the internet at the end of 2018 which made a lot of waves, not all of which were for the right reasons. This got me thinking...so I decided that Swimming Pool Steve Quits The Internet too. Nobody seemed to notice. It is hard to say what 2019 has in store. There is so much new swimming pool technology on the market now and I am wanting to get more hands on with some of this stuff. We will see what I have done in that regard by the time the next update comes due. Speaking of which, I managed to make good on a promise that you will read further down the page in that I finally was able to put up a few hundred more videos on my youtube channel so please check them out and don't forget to like and subscribe! Thanks you for being a reader of this blog. I appreciate you choosing to spend some time learning about pools and spas from me and I hope you enjoy following along with other (possibly) interesting aspects of my life. Cheers. Where does the time go? It has been almost two years since I have updated this page and so much has happened since March 2016 for me. First and foremost, the www.SwimmingPoolSteve.com website and brand have grown tremendously, as has the Swimming Pool Steve Youtube Channel which celebrated 1,000,000 views in late 2017. It took almost three years to hit a million views, but in 2017 alone I received over 985,000 views which shows just how much the brand has grown. Nearly a million views in a year is pretty darn good for a channel about technical aspects of swimming pools...at least I think so! In 2018 I hope to increase the number of videos currently available and this time I mean it! 2017 in total showed huge growth over the already impressive website traffic numbers from 2016. As indicated in the 2017 in review article, the Swimming Pool Steve website was responsible for over $500,000 USD of swimming pool equipment sales. This number ONLY represents people who purchased from Amazon.com within 24 hours of reading one of my articles. It is only reasonable to assume that the majority of my readers did not buy something from Amazon within 24 hours, and instead took longer to decide, or purchased from a local store or dealer. One thing is for sure, pool owners trust the advice that I provide about swimming pools and use this information to make informed purchase decisions. Moving forward I hope to harness this clout and use this platform to introduce new pool and spa products to pool owners. If you have a product or line of products that you believe in and would like to be considered for a direct sponsorship promotion, please contact Steve. Moving ahead in 2018 I will be returning to Asia, this time to visit Angkor Wat in Cambodia as well as spending some more time in Vietnam like I did two years ago. During this time I learned how to cook the iconic soup "pho" and I wrote a detailed article about this. I bet you never thought that you would learn how to cook pho from a pool guy. I hope to do some more cooking classes, but also to learn about the giant floating ancient ruins of Angkor Wat in Siem Reap. I also hope to be able to hold my own a little better should I find myself invited to another Vietnamese party. Of course I will be writing about my experiences while there, including the swimming pools, and these articles will eventually get posted over in the swimming pool blog page so be sure to check back there. Another fun update from 2017 is that I bought a 27' sailboat from my father, updated the interior, and spent many days of the summer floating on the water. It was an amazing experience save for the maiden voyage which saw us floating dead in the water within 15 seconds of leaving the dock. After a quick recovery in the tow-behind boat, and some quick modifications to the gear selector, we were back on the water. 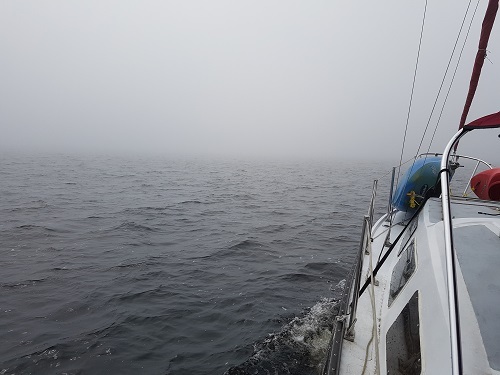 Within one hour of this we had encountered near zero visibility fog, and despite my fancy GPS navigation, we ended up parked squarely on some rocks in Georgian Bay. It was anticlimactic, and we got off the rocks eventually with no discernable damage to the boat, but let's just say that I have a healthy respect for open waters and Georgian Bay in particular. I did not do as much sailing as I would have liked, but for someone who has never even owned a canoe before, I feel like this was quite an accomplishment. I caught some big fish this year, including a few Musky, but nothing that compares to the 40" monster that my wife caught in 2016. Owning a boat and being a pool guy are just about the two most opposite things you can imagine. This is why it was so important for me to do this now that I do not work 80 hours per week every summer...I have a lot of missed summers to make up for moving forward! Thank you for reading my blog on swimming pools and hot tubs and helping me to have the best job in the world! Not even out of March 2016 yet and this year is setting records - After a much needed vacation at the most beautiful beach in the world things got cooking right away in 2016. I was featured in Piscines & Spas, a Canadian magazine publication with a french language article on improving energy efficiency in a swimming pool plumbing system, entitled Resistance pour le debit d'eau which is a reprint of an english language article I had in Pool & Spa Marketing last year. Also, speaking of Pool & Spa Marketing Magazine, in February of 2016 I was featured again with an article on one of my true passions - Workplace safety. Safe working practices and how to develop and implement a culture of safety at work is a subject that I am always ready to take on so it was a great feather in my cap to be printed in this regard. You can find this article in the Pool & Spa Marketing 2016 Reference & Directory edition, March 2016. In other news, after returning from Barbados I decided to squeeze another trip in before the pool season officially starts in late May. Leaving in mid-April I will be in Vietnam for a month traveling solo from Ho Chi Minh City to Hoi An, Da Nang and possibly up to the capital city of Vietnam, Hanoi. I will be taking one of the longest commercial flights in the world (Newark NJ to Hong Kong) en route to my final destination in the former city of Saigon, Ho Chi Minh City. At just under 13,000km for NJ to HK and a total of 15,000+ km total travel distance it will be a rough commute - but the experience of taking on this challenge will last me for a lifetime. Not satisfied that this was enough stuff going on in 2016 yet, I have also recently developed and launched a new website which is Gift Ideas Website of which I hope to revisit after allowing the initial build to get indexed in the search engines. This website is intended to connect web searchers with information, articles and reviews that will help them to shop more effectively online. Also in 2016 the content for www.SwimmingPoolSteve.com has increased dramatically - the new articles on How To Install A Pool Safety Cover as well as the lengthy How To Install A Pool Liner articles are both standout tutorials that will be a massive help if you plan to take on one of these projects this year for your pool. PLEASE NOTE - It is becoming difficult to keep up with the volume of phone calls and emails that I receive due to the popularity of this website. If you want the greatest likelihood of reaching me directly then please email, and understand that when I am traveling I may not be available for days, or even weeks at a time. I appreciate your patience! In 2015 Swimming Pool Steve was featured in Pool & Spa Marketing Magazine twice with his articles on Understanding The Electromechanical Process Of Galvanic Corrosion in August as well as being featured again in December with his technical article on how to improve energy efficiency in a pool plumbing system entitled "Resistance To Flow". As a result of these successful articles he has also contributed an article on one of his passions - safety in the workplace - which will be released early in 2016. In addition to Pool & Spa Marketing in Canada, Steve was also featured in the U.S. publication Pool & Spa News with an article about being an active entrepreneur as well as showcasing in a number of other smaller publications throughout the year. The Swimming Pool Steve YouTube Channel received over 200,000 views in 2015, which is a solid start for a new YouTube channel, and shows signs to continue to increase in viewership over the next year. In 2015 Steve recorded this "test drive" on a BreedLove brand guitar while at a pool party that did not involve him fixing the pool (This pool was renovated by Steve previously). In this cover of Dream A Little Dream Of Me you can hear the birds chirping in the background and the cicada's singing along which is a sure indication that it is summer time in Ontario Canada. In 2016 Steve has planned to reduce his swimming pool contracting schedule to include only a few select projects and spend more time floating on a sailboat in Georgian Bay. The popularity of the Swimming Pool Steve website has opened many doors with potential for opportunity and as a result the Swimming Pool Steve content will continue and even increase over this year. 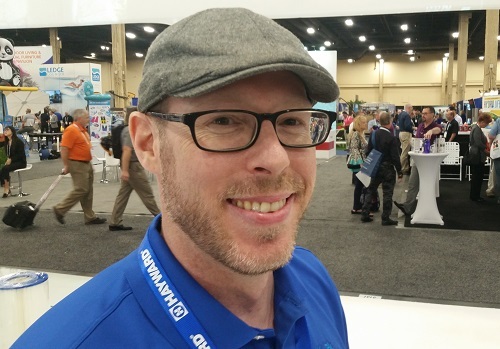 If you have any questions that relate to the pool and spa industry, as a pool owner looking for a straight answer about any aspect of their pool or spa - or as professional / experienced pool technician looking to access deeper knowledge on any specific subject please contact Swimming Pool Steve at SwimmingPoolSteve@Gmail.com. Swimming Pool Steve is an internet developer with almost 100 active domains and websites ranging from E-commerce enabled web stores, physical products, downloadable E-books, instructional DVD's, contextual advertising, subscription membership content and product reviews. What started as writing for the internet as a hobby has grown over 15 years to be one of the largest privately owned and developed collections of websites in the swimming pool and spa industry. As a second generation pool and spa builder based in Ontario Canada Steve learned the trade from his family for 10 years before moving to Vancouver BC to learn the high end gunite swimming pool building trade - something that is very uncommon in Ontario. After training for five years in advanced mechanical installations, commercial projects, project management, tile, plaster and gunite applications Steve went on to open Serendipity Pools & Artificial Rock in Vancouver. This business grew very quickly developing a loyal following of both employees and clients in Whistler and Vancouver. Steve closed this business in 2009 to return to Ontario after over 10 years on the west coast of Canada so that he could be closer to his family again. In Ontario Steve owns and operates A Better Pool Company and also Green Pools swimming pool contracting and service companies. What Makes You A Good Pool Guy? I can say easily the secret to my success in this industry is the fact that I have worked at so many different pool companies over the years. The pool industry does not have a code book or standard operating procedures manual other than what is developed in-house for each pool company. Most pool company operating procedures are grandfathered in from previous generations and the end result is an industry wide total lack of congruency of building practices. This makes the market very challenging for both pool companies and prospective pool owners alike. I grew up in this industry and measured my first liner when I was 12 years old and this has been a huge advantage for me. When I worked with my uncle his boom period of building 100 pools per year was past and he was now operating a service company maintaining these clients. This allowed me to work 1 on 1 with the company owner for almost a decade by the time I was 21 and the experience I gained during this training period advanced my knowledge of the industry tremendously. Taking this base knowledge I then went to the west coast to learn the high end concrete pool construction business and I loved it. The work was hard. Very hard. But the rewards were worth it I think. Before I decided to come back to Ontario I was building concrete pools in Whistler BC under my own company banner with a loyal following of friends and employees supporting me. In 2008 I had some family matters in Ontario that I could not attend to due to being integral to the day to day operations of my contracting business in Vancouver. At the end of 2008 my business partner and right hand man (read; work horse of Herculean caliber) left the business to join the Canadian military and pursue his personal life dream. This was the straw that broke my back so to speak. Already near to melt down from working 80+ hour weeks I decided that if I would ever move back to Ontario to be close to my family again now was the time. The decision was made. 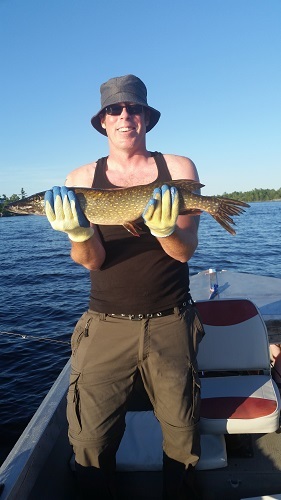 Back in Ontario I have continued to develop my internet properties as well as working in various employment and subcontract positions over the years with many different pool companies. Design Pools, Mckenzie Pool Service, Alka Pools, Aloha Pools, Adco Pools, Bus Spas & Pools, Arctic Spas, Hayward Pool Products, Total Tech Pools, Mirage Pools, Partswerx Distribution to name a few. If I had only worked at one or two pool companies in my career then I would not have anywhere near to the knowledge I have gained from being exposed to so many different methods. Is There More Than Just Swimming Pools To Your Story? You bet. Swimming pools have been a large part of my life but still only represent a part of it. I have been playing the guitar for most of my life and this is also due to being exposed to a musical family at an early age. I think this video of me playing Bohemian Rhapsody is a good example of what my life is like. I saw a video of a cover of this song that just blew my mind. I thought it would be amazing to learn to play that song! For over one year this was the ONLY song I played on my guitar. I have the type of personality that once I get something in my head I become intensely focused on it often sleeping only a few hours a night to squeeze more time out of the day. I like to use music as a form of meditation for myself. I find a peace that is difficult for me to find in other avenues of my life when I am playing the guitar. While I have not pursued music as a form of supporting myself I do continue to play, learn, write songs and collaborate with other musicians regularly. Music for me is a constant in my life. I could be poor or I could be rich but either way you would find me late at night playing my guitar and writing my songs. I did. 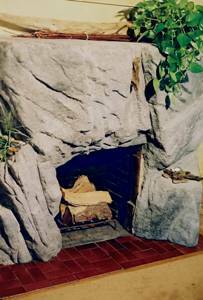 The book was written about how to build artificial rock which is a unique construction process that I was exposed to out west. My father is a class A mechanic with a book of technical certifications 4 inches thick. I most definitely get my mechanical aptitude from him. The swimming pool trade provided me with exposure to a number of different technical skills such as plumbing, electrical, concrete, steel working and framing. By far the most interesting to me is artificial rock construction. I fell in love with the medium of being able to create things that look exactly like real stone and feel exactly like real stone but are made from concrete which is a highly versatile construction medium. The possibilities are endless and any time I get some free time in my life I enjoy creating new products from artificial rock. While I was learning the process I had written down so many notes and taken so many pictures I realized I had enough material already to write a book. Do you know how many book sales it takes to be a Canadian best selling author? 5000. I did not know that. I had always assumed that number would be much higher. I talked to a few publishers, and even considered self publishing angles but the math did not add up. My subject matter, artificial rock construction, is a highly niche subject and unlikely to ever generate much profit through traditional publishing avenues. I changed the book content into an online "book" that was a subscription membership back in 2006 as an automated residual income website. I am not sure how many copies I have sold exactly to date but it is over 10,000 for sure and while a book would only sell for $10-$20 and I would get a tiny portion of this, I was able to sell this online tutorial for prices ranging from $20 up to $99 which it sold at regularly for the first 3-4 years. The evolution of the online market has seen a lot more competition for information about artificial rock. 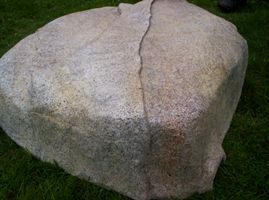 In 2014 I finally made time to write, record and produce a series of instructional DVD's about artificial rock construction and also rock garden statue making available at www.ArtificialRock.ca and also www.HowToMakeRocks.com. 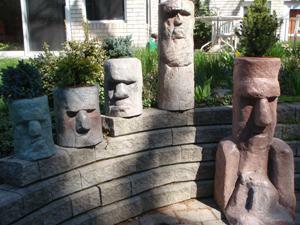 I also developed a line of garden statues, planters, sculptures and flower pots all using artificial rock FacePlants Garden Decor. Lately I have been building a lot more of the larger statues, 3, 4 and 5 feet tall and I think this is the evolution I will continue to follow. It is just a ton of fun to make these and I love seeing people reactions to them. I am sure they are not to everyone's taste but those that like them really seem to love my garden art. You Seem To Be Very Artistic - What Other Art Do You Make? In the world of "art" I suppose that my creative writing and poetry qualify but I find less and less time for this these days. In terms of tangible items I learned a unique skill that I ended up following a similar process as with the artificial rock. 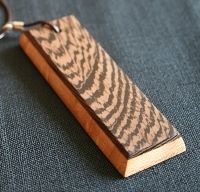 I wrote and sell an E-book on how to make wood jewelry out of exotic woods. I was so impressed the first time I was introduced to the world of exotic woods. There were so many incredible colors and patterns I knew that I had to learn more about how to work with these woods. In addition to the e-book I also built an online store for selling the jewelry however this is just a hobby that I use more for making hand crafted gifts for friends and family than anything else. 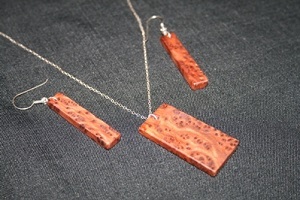 My wife actually wants to take over the wood jewelry websites, making and sales which would be just fine by me as I just do not have enough time in the day to do all of these things anyway! Hand carving exotic woods and step polishing to a vibrant and smooth sheen is a very relaxing and rewarding hobby. Again, the limitless nature of taking a raw material like wood which comes in so many different natural colors, and making something beautiful or interesting out of it is amazing. This is a hobby I would recommend to someone with a lot of creative talent but not a lot of money or space to get started with. Difficult question with an easy answer - my dogs. Anyone who knows me well knows that I am an absolute dog lover. I have had dogs for as long as I can remember and I would not want to live without them. In November of 2013 I had to put down my shih-tzu Penny due to illness and the quiet in my house was too much to for me and I got a new puppy Mary, a yorkie mix, in December 2013. 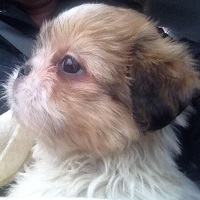 In November 2014 we added to the family again with Ginger, another shih-tzu, to help keep Mary company. This older video of Penny, which I absolutely cherish, shows the cumulation of her life's training in my attempts to teach her how to talk. She knew exactly what I wanted her to do, though I don't believe she was a huge fan of trying, trying to say words like a human. More often than not she would just choke on the words as she tried to get them out. Horrible, gross, hilarious. 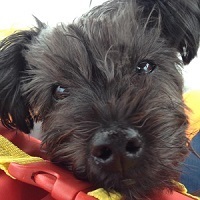 My dogs always make me smile because they are on a totally different wavelength. Dogs know nothing of stress and bills and the weight of life. To dogs life is about treats, and playing and cuddling and their pack. I think I would be smart to try to learn from my dogs sometimes. Since I do have long periods of time where I work from home in front of a computer I like to talk to my dogs. It helps me to keep calm and relaxed and not take things too seriously when I have a tendency to get completely caught up in what I am working on. I have not started teaching either of my new dogs to talk yet like Penny. I am still working on how to get them to shut up!